I want to ask how to be confident in class or on stage as I am a very shy person. I also want to ask that how long is a contemporary dancer career last. My dad said they have to retire when they reach 30 and he said that you can't survive working as dancer. I know that I’m a late starter so I may not be a dancer. What are some jobs around dance? I am 17 and can do most of the moves as I am naturally flexible. What are my chances of becoming a dancer? The active working time of a contemporary dancer depends on the style of contemporary dance you practice. Kazuo Ohno, who was one of the greatest butoh dancers, danced till his death at the age of 104 years old and was still acclaimed worldwide. But, if you insist to do only highly acrobatic styles, your retiring time might indeed come around the age of 30s. That is the case of ballet dancers, from which your dad might have that idea in mind. Yet the example of ballet dancers is good to understand that a working productive life exists after the dancing career, as you know that there are so many of them and they continue living when they stop dancing. Working jobs around dance are teaching, choreographing, researching, producing, marketing and many smaller tasks that are needed in the entertainment industry. In fact, most of the contemporary dancers do those things while they are still dancing as well. One thing you must know is that a professional of performing arts might not have the salary of a doctor, an engineer or a lawyer. That is true. But if you prefer to live with less money in order to fulfill your dreams and have a life of excitement, fun, happiness and love, you can survive from dance only. I do, for example. And I know hundreds of colleagues that do it as well. If you are naturally flexible, your chances of becoming a dancer are of a 100%. But you will have to take many classes, study and do a lot of research on your own. Art is the most laborious of the activities for human beings, though outsiders are not aware of it. And for your confidence, I would recommend you to relax and keep on practicing. The more you practice, the more confident you will become. You are very young, so it's normal that you experience those kinds of feelings. But you are already aware of your shyness and want to improve. Keeping an eye on that will make that it improves alone as your personality evolves and develops. Don't give so much importance to what people think about you and let your inner self express itself. You will see how it will start happening. If dancing is your passion and you go for it, you will not regret it. I can tell from my own experience. Finding money when you love what you do is definitely possible, even if it implies harder work than with other professions. 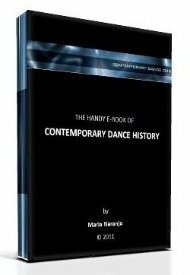 If you feel like reading more, there's also a thread about this here: Can I start dancing contemporary at 16 ?